"Timeless Photos for the Modern Chic Couple in Love"
This wedding was extra special for me because Joshua and Ashley are great friends of my husband and I. We have watched them form into a powerhouse couple, walked with them through their relationship, and got to be on the front row as God has been shaping them into the couple they are today. We are so proud of them and glad we get to call them family! It was also the second time that my husband did the ceremony while I was the wedding photographer! Josh and Ashley got married on a gorgeous April afternoon here in Raleigh, North Carolina. 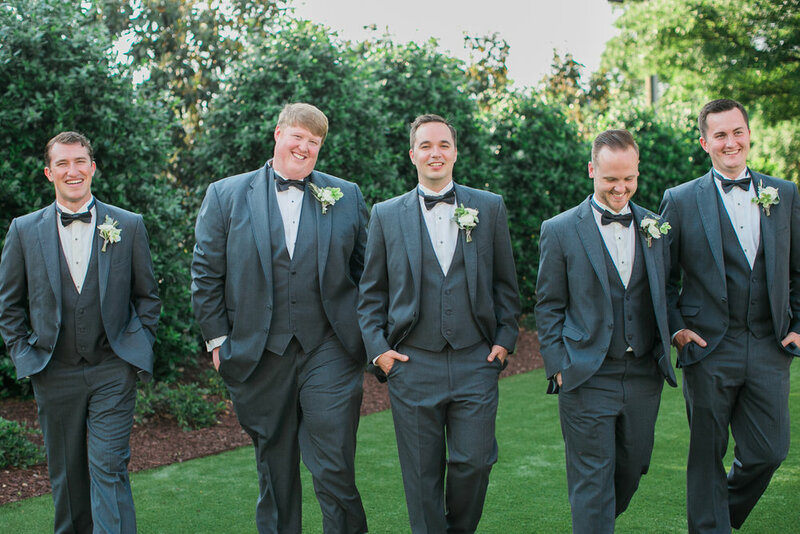 Their ceremony took place at the WRAL Azalea Gardens and the reception following at the NC State University Club. Their day was so perfect and I'm always honored when friends ask me to capture their wedding day! 1) The happy tears and laughter shared when Josh and Ashley had their private moment praying over each other and exchanging letters. They didn't have a first look, but this moment was just as special! 2) Joshua's face as Ashley walked down the aisle. That is always one of my favorites parts of a wedding day. To see the groom's anxious, excited, semi nervous, and happy reaction. I have to keep it together myself at times! 3) Everything about their ceremony was so beautiful! Other than the fact they had a hot pastor performing the ceremony ( My husband! Lol ) , their ceremony was so moving. They had a time of worship in front of all their closest friends and family before saying " I Do " Everyone who was walking around the Gardens that afternoon stopped in their tracks and had a moment of silence. As I was photographing them both, I looked up to find everyone else in a distance watching as well. The world stopped for those couple of moments as we all worshiped. 4) The golden hour light we had for sunset pictures! I snuck Josh and Ashley out of the reception for about 10 minutes. We stepped right outside on the terrace and had the best lighting. You would of thought they were models out there because they killed their Bride & Groom portrait shots! David and Meri Scott's wedding took place downtown Raleigh at The Merrimon-Wynne house. This beautiful venue is located right in the heart of historic downtown Raleigh. It's hard to miss when driving by. The house was built in the eighteen hundreds and is super charming and elegant on the inside. Each room is so unique and beautiful in its own way! I loved getting to know and work with David and Meri Scott. And I especially loved seeing their personalities come out when surrounded by their family and friends. Even though the weather was a little hot, they didn't let it get in the way from having a fabulous evening. And a huge shout out to the amazing creative team who made this day possible. It was Floral Lawn Party Magic! 1) How sweet Meri Scott and her bridesmaids were. The day ran so smoothly and we were ahead of schedule. The girls were so easy-going and fun to be around! 2) The flower arrangements! Anna from Meristem Floral is so talented. 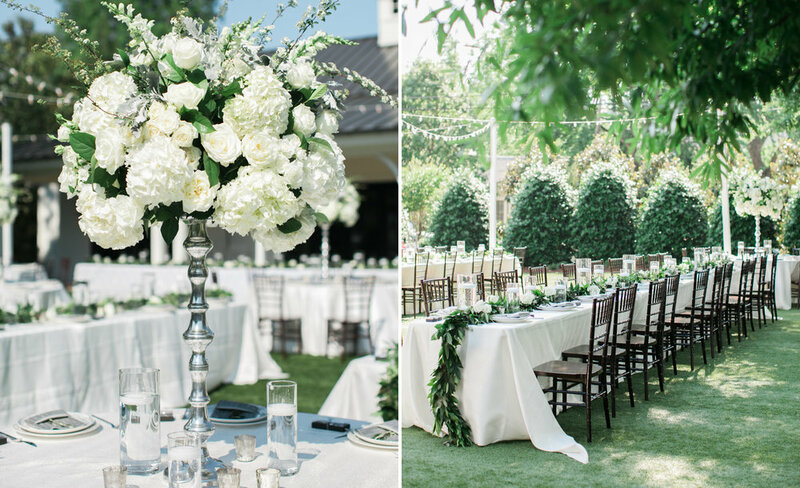 You can't go wrong with white flowers and greenery. And I have never seen a ceiling look more gorgeous with the floral chandelier that hung in the Carriage House for their ceremony. 3) Meri Scott's non traditional wedding dress from Gilded. Which happens to be my favorite bridal shop in the Raleigh area! 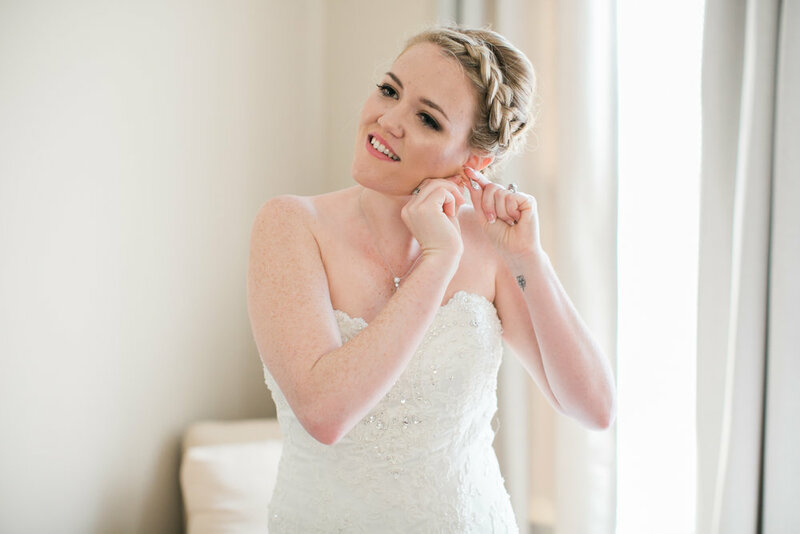 The Merrimon-Wynne house was the perfect backdrop to show off that gorgeous dress! 4) Watching David open up his wedding day gift. Meri Scott bought him a pair of glasses that enhances color for anyone with color blindness! 5) And lastly...I now know why Meri Scott wanted to wear sparkly slip on shoes for her wedding day. So she can DANCE! That was probably the highlight of my night. Her and her girls danced like no one was watching! Especially when their special requested song from the movie, Space Jam came on. THE BEST! Joe Bunn from Bunn DJ Company killed it on the dance floor. He had everyone dancing all night! Honestly, the whole day was just perfect. And I was honored to play a small part in it. Thank you David and Meri Scott for choosing me as your wedding photographer. And Congratulations to you both! Where do I begin with Alex and Christina's wedding! From the moment I walked in the Mother of the Bride's home, I felt welcomed! Everyone was so sweet! One of my favorite parts of the morning, was Christina slipping into her dress. Looking back, I saw her Mom and all of her bridesmaids tearing up in the doorway. At that moment, she felt like a true bride. Can we talk about the girls flowers for a second!? The bright colors were the perfect match for her navy details. They looked stunning with the bridesmaids navy blue dresses. The ceremony was in Wake Forest followed by the reception at The State Club in Raleigh. It was my first wedding at this venue, but I sure hope it's not the last. Everything from the marble floors to the crystal chandeliers were just jaw-dropping. After their grand entrance as husband and wife, Alex and Christina went straight into their first dance. From that moment on, I think they stayed on the dance floor until the sun set! I told Christina I wished I could of been a guest at their wedding! I had so much fun and I'm so glad I was able to be a part of their special day! 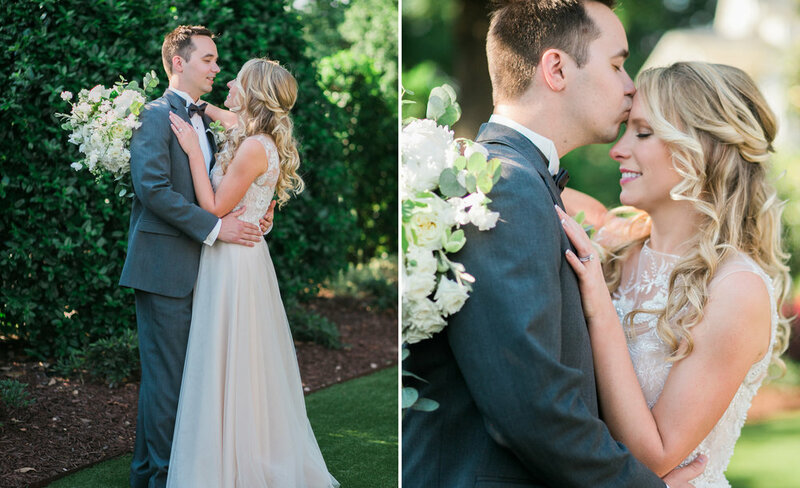 I loved getting to know Alex and Christina and I loved their friends and family! Hope you two are having a blast in Costa Rica!